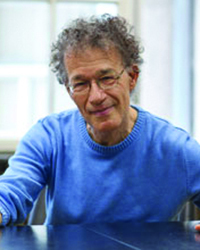 Professor Tim Bonyhady is one of Australia’s foremost environmental lawyers and cultural historians. His first major legal book, The Law of the Countryside: the Rights of the Public, focused on British law. Otherwise his domain has been Australian environmental law, focusing on property rights in Environmental Protection and Legal Change; on third parties in Places Worth Keeping: Conservationists, Politics and Law, and on climate law and environmental impact assessment in Climate Law in Australia, Adaptation to Climate Change and Mills, Mines and other Controversies. Tim’s research also involves many aspects of cultural history. Australian colonial art was the subject of his first three books. Then his interests extended to art, science and exploration in Burke and Wills: From Melbourne to Myth. In The Colonial Earth he brought his legal and cultural interests together as he examined the origins of environmental concern in Australia. In Good Living Street his focus switched to Vienna, with questions of art, religion and identity looming large in a multi- generational family history. Tim has also been an advisor to Commonwealth and State inquiries into environmental law and has curated exhibitions for the National Portrait Gallery of Australia, the National Library of Australia and the National Gallery of Victoria. Finn’s Law: An Australian Justice, edited by Professor Bonyhady and published by Federation Press in Sydney, is a celebration, analysis and critique of the groundbreaking work of retired Justice and Professor, the Hon. Paul Finn. A portrait of ANU environmental law expert, Professor Tim Bonyhady, has been chosen as a finalist in this year’s prestigious Archibald Prize. An exceptional contribution to the law and the arts has seen the ANU College of Law’s Professor Tim Bonyhady recognised in this year’s Queens Birthday Order of Australia Honours. Member of the Expert Panel for the Hawke Review, 2008-2009, which produced the report, The Australian Environment Act: Report of the Independent Review of the Environment Protection and Biodiversity Conservation Act 1999, 2009, 372pp. Topic: Planning, Property and Public participation. I am willing to supervise at a Doctoral and Post-Doctoral level in relation to both environmental law and cultural history. I regularly teach the introductory course, Fundamentals of Environmental Law, and have also been teaching Commonwealth Environmental Law with Andrew Macintosh. In the past I have also taught The Culture of Environmental Law, which brought together my legal and cultural interests.